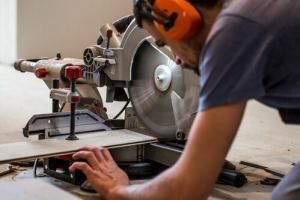 If you’re looking for the best miter saw for larger projects, little touches a 12-inch for a winning combination of power and performance without sacrificing accuracy. Whether you’re a committed home woodworker, a contractor or a serious DIY enthusiast, this saw excels across the board and is a very strong contender for the best commercially available 12-inch miter saw. I love Hitachi products. They are very reliable and have always served me well. One issue…the blade on the saw I purchased was installed BACKWARDS (from the factory?). Simple oversight? Maybe. This could be a dangerous mistake. I noticed this after removing from the box. No harm, just heads up. While the 15-amp motor running on 120 volts is extraordinarily capable, the design of this miter saw is ingenious and space-saving. Operating on an efficient and compact slide system, you won’t need to concern yourself with clearance to the rear. That said, it weighs in at over 80 pounds so you won’t be carrying it from job to job in a hurry either. If you check out the quality and price of the stand and blade when purchased separately, you’ll see why it makes sense to avail yourself of the bundled option with both. The stand is extremely heavy-duty and capable of supporting up to 400 pounds so it’s fit for more or less anything you throw its way. We review the stand in full here so we won’t dwell further on it except to give it our seal of approval. Packing 80 teeth and capable of 5,500RPM, the neat blade is ideal for hardwood or softwood but will also cope with MDF, plywood and finish lumber. If you need to cut through denser and harder materials, swap this blade out for something more rugged. With an alternative blade in place, you’ll be able to deal with masonry or tiling seamlessly. There’s an oversized fence that raises the height to a maximum of 5 1/8 inches allowing you to make vertical cuts of up to 7 ½ inches. 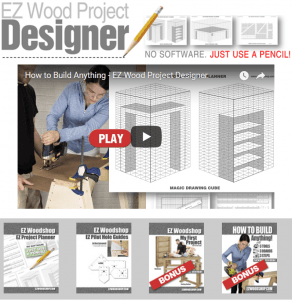 You’ll be able to cut through boards anywhere from 6 to 12 inches wide giving you enormous scope. For standard miter cuts, you’ll be able to go from 0 through 45 degrees to the left and you can miter from 0 to 57 degrees to the right. A dual-bevel saw, you’ll be able to make bevel cuts to either direction ranging from 0 to 45 degrees. 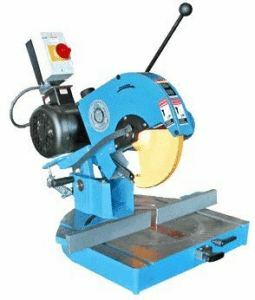 You can accomplish this by simply flipping the saw head which means you can leave your workpiece in place. This is a very nice touch. The positive stops take the guesswork and messing around out of changing your settings. Indications on both the miter and bevel scale are clear and easy to read. When it comes to cutting accuracy, Hitachi’s Laser Marking System is a great advantage. This integrated laser, good to go from the start without any tinkering, sets the C12RSH2 apart from other saws in its class. Power is futile without being partnered by precision and the Hitachi wins out on both counts. The Hitachi is a real pleasure to use whether you’re just kicking off your woodworking career or you’re a seasoned pro. The vertical handle is comfortable for even prolonged use and tamps down the vibration nicely. The slide system works like a dream and adjustments are all extremely simple to execute. From the rudimentary knob to fine-tune the laser through to the positive stops and indicators, everything is designed with user-friendliness uppermost. 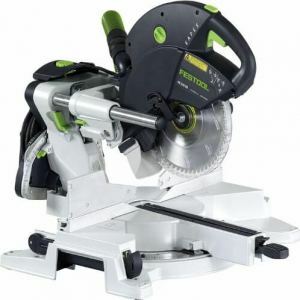 We’ll highlight the major advantages and noteworthy drawbacks so you can see at a glance whether you think this miter saw is worth the investment. We never attempt to mask the downsides of a product since there’s nothing worse than reading a glowing review that conceals known flaws. What we will say is that the shower of benefits of the Hitachi more than compensates for its weak points. 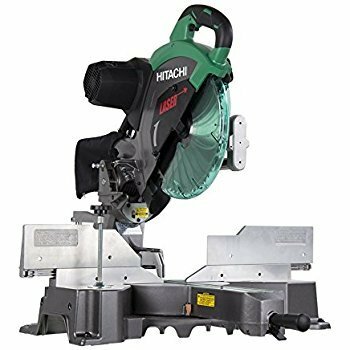 A 12-inch miter saw is not for everyone so if you’re likely to crank your miter saw up only occasionally and you’re not looking to tackle bigger or harder workpieces, the Hitachi is probably not for you. 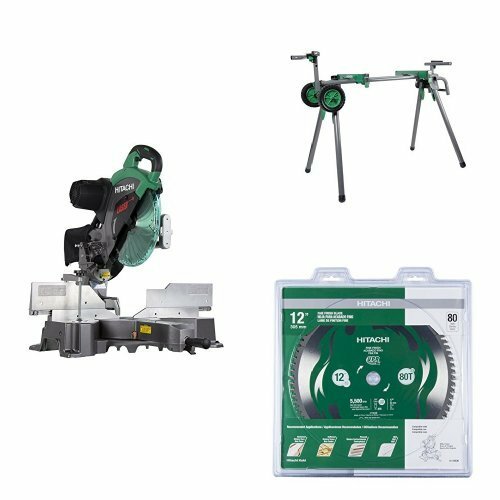 If, on the other hand, you want a real powerhouse of a miter saw at an attractive price point, pop the Hitachi C12RSH2 on your shortlist. If you’re in any doubt whatsoever, the class-leading 5-year limited warranty gives you one more reason to buy with total confidence. 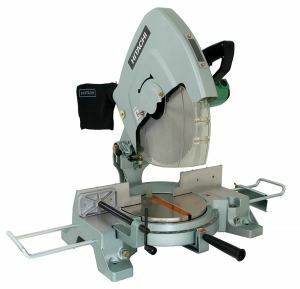 Be sure to come back soon as we are working on plenty more individual reviews bringing you an honest and unbiased appraisal of the very best saws on the market in all categories. 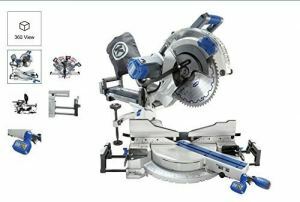 I have this saw and there is something about it that leaves me wanting more and that is the lack of accessories (for lack of a better word). I look at companies like Kreg who make tools designed to make your work easier and help you work smarter and it makes me wonder why a company like Hitachi who makes this wonderful base saw does not offer attachments to help me “work easier and help me work smarter.” Why does it not have T-Slots with rules that allow me to set stops for repeat lengths. Why do they not provide extensions for the base that align with the base and attach to it. Every time I look for something like this, I end up finding wonderful workshops built around the saw but nothing from Hitachi.